Double Espresso guest room is accessible from the second floor deck off of the garden patio, and features 2 full-size beds; which can accommodate up to 4 guests. 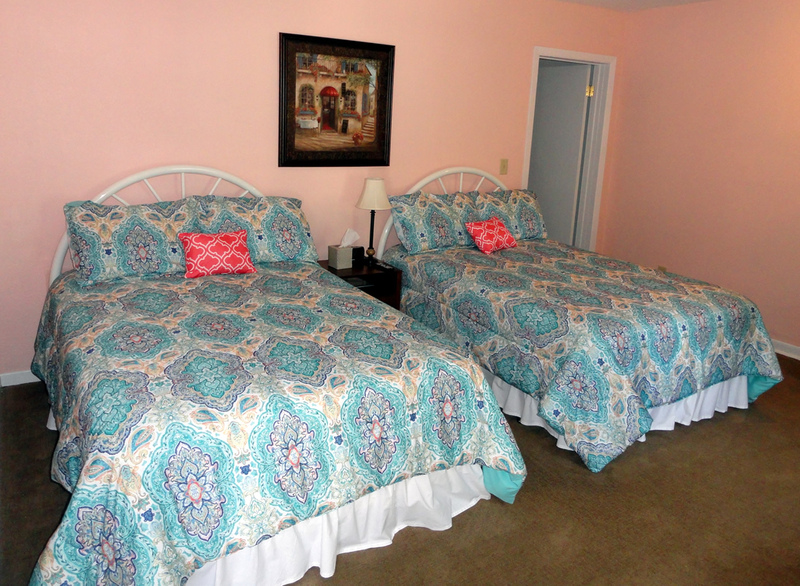 A Twin Airbed is available for an additional $20.00 per person for linens, towels and bed. 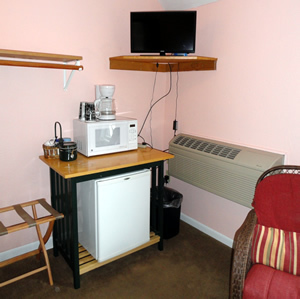 Room can accommodate up to 5 guests with the rental of the Twin Airbed. Rates are for up to 4 people. 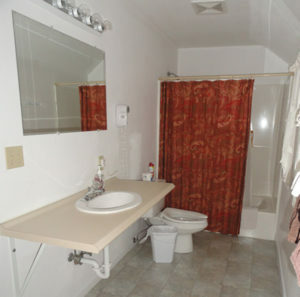 Can accommodate up to 5 people for an additional $20.00 Fee Per Person. Minimum 2 night stays required Fridays & Saturdays during Peak Season.